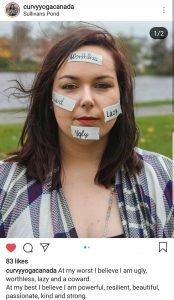 Body Positivity is a social movement rooted in the belief that all human beings should have a positive body image, and be accepting of their own bodies as well as the bodies of others. 2018 was an interesting year for me as a human. I learnt that I had a serious issue that needed to be addressed. One that I had done a good job in playing down for years. SPOILER ALERT! At 35, it was and still is a big deal, and we’re working towards fixing that. I spent most of 2018 behind closed doors trying to make sense of the last 30 years. Why I felt the way I did and putting together a plan. 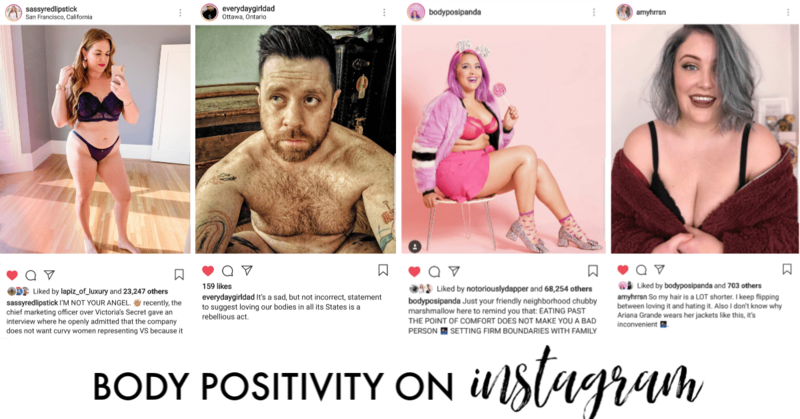 I removed toxic accounts on social media, replacing them with all things BODY POSITIVE. That makes me sick. Not just because I’m included in jaw-dropping part of that stat, but because I’m so far from alone it’s not even funny. 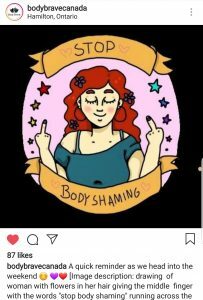 It hurts to think that so many of us struggle with Body Positivity and that Society and the Diet Culture have messed with our minds so horribly. I’m determined to make sure that Sofia and Stella never, not for one moment get taken down that god-awful rabbit hole. I’m doing this not just for me, I’m doing this for them, and for those of you out there that need the support. I would be honored to be that person for you. Never hesitate to reach out! 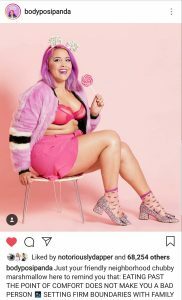 Today I share with you, my favorite humans on Instagram that are all about Body Positivity. They have helped work on changing this messed-up mindset I have. Learning how to love my body just the way it is and give a new definition to what being healthy really is. Passionate about helping people reconnect with themselves and their bodies! there are so many more account I’ve yet to discover. But should you be on the same journey as me. This is a great start in giving your feed a breath of fresh air. 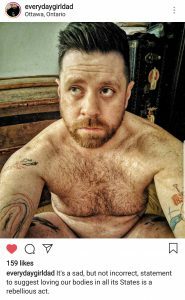 Body Positive fresh air. I follow a few of these and they are awesome!